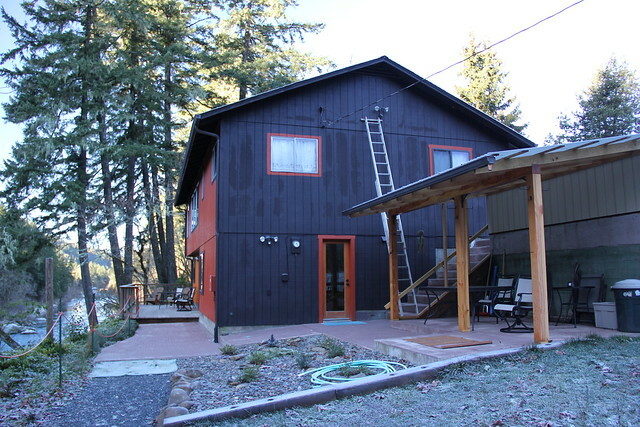 The North Umpqua River Retreat offers everything the traveling steelhead angler is looking for; large parking area for boats, doorstep swing water, and spacious clean living arrangements to name a few. This was our second year in a row at the rental and my brother and I have already booked our stay for next year. 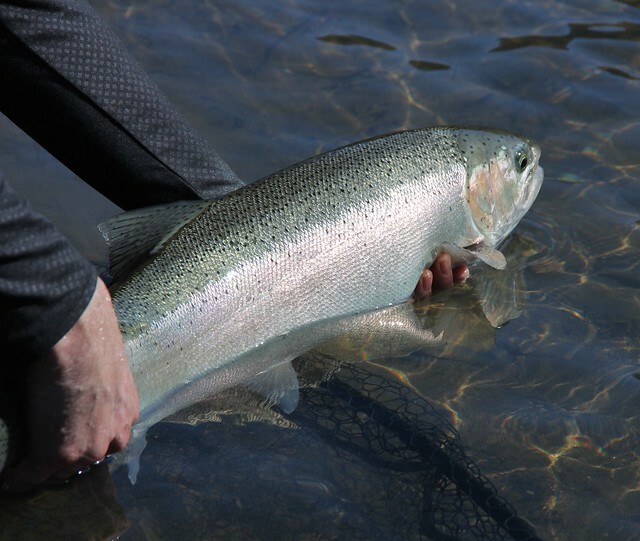 Located on Highway 138, about three miles west of the famous “flywater”, puts the rental in a very fishy location for the wading steelhead angler. 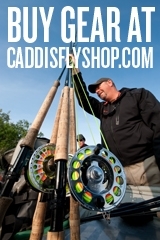 Whether you are fishing on your own, hiring a guide for the flywater, or booking a boat trip you will not be further than thirty minutes away from the front door. I chose to sleep in one day and wade the water right out front which is about a seventy yard run of boulder strewn steelhead water. I could have easily stayed in the house all day, just watching the tail out from the three large windows in the living room. It is the best river view of any house I have been in. Although we have mainly utilized the house in the Winter it is also a great bet for the summer steelheader. 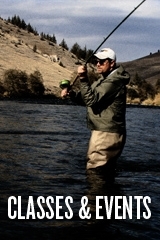 Peak season for summer fishing is coming up quick especially with the low water conditions. Book your stay now! 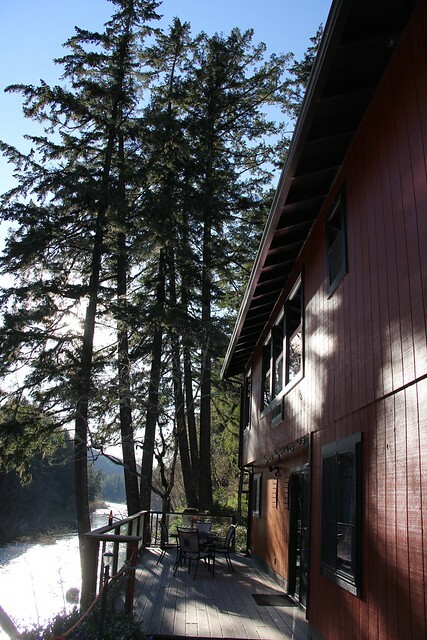 check it out at http://www.northumpquaretreat.com/ and book your stay. 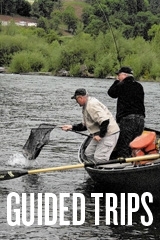 This entry was posted in Fly Fishing Travel, North Umpqua River Fishing Reports. Bookmark the permalink.